Thinking of unloading my Systemsix for a Mr Pink and while I'm not 100% worried about weight, I do like to do fast group rides and enjoy the race geometry that my Systemsix has. I really love the feel of steel. Anyone have any builds they could share? I like the Mr. Pink because of the pricepoint, "race" geometry, 28c's, that kind of thing. I've seen Soma as well, but worried it's more of an endurance frame. Any help and pictures would be appreciated! Are you asking about the All City Mr Pink ? If so why not get a newer used Colnago Master X Light ? 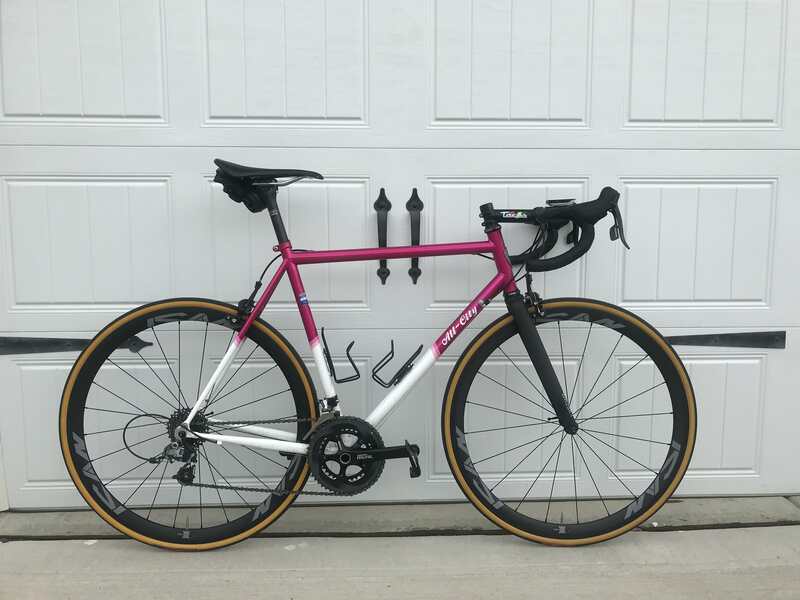 It has all you are looking for, would likely be at the same price point as a new All City Mr Pink and would hold its value. 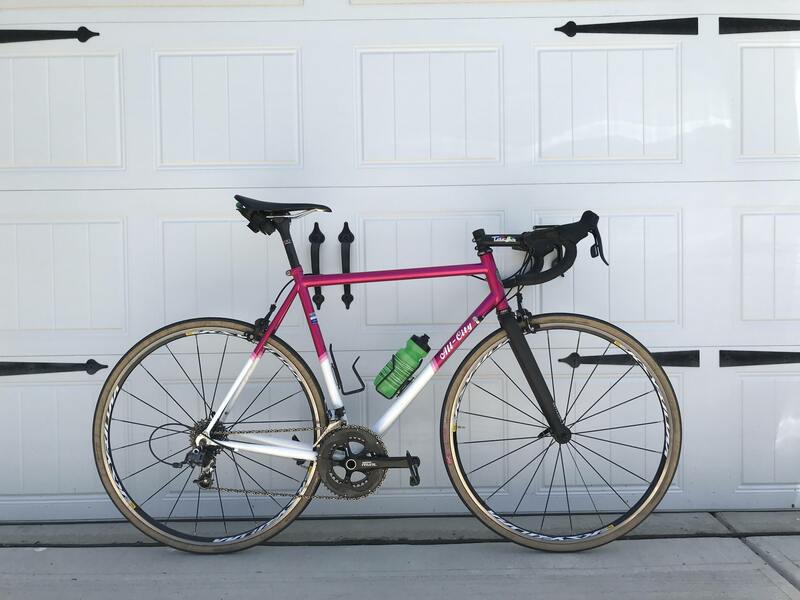 The All City Mr Pink looks to be around $800 online, is that what those frames are going for used? I see them on eBay and they are all loot! Since this is the first topic that comes up when you type up lightweight mr pink, I figured I'd follow up. Ended up pulling the trigger and minus a wheelset, I'm extremely happy with this bike and consider it "done". This is right at 20 pounds, which I'm extremely happy with. That is so light it floats to the ceiling! haha crap i tried to ninja edit, apparently im not fast enough! One crit and one road race, totally in love. i just "upgraded" to some turbo tires and carbon 38mm wheels, just need to weigh it! Very interested in weights (esp of frame and fork) and build list! How does the ride compare to your other bikes? This is my first weightweenies exercise so I didn't weigh each piece Obviously it isn't too very weight weenie oriented, but a list wouldn't hurt! Not even sure why I should post this number, but with the bathroom scale weight method it comes to 9.25kg (20.4 pounds), really need to get a good scale to weigh it. With the Mavic wheels and 28mm tires, it was comfy and smooth, but still felt like something was missing. With these wheels/tires it feels like riding on a cloud, while still stiff enough to lay into the pedals and get some power into them. The only other things I may look into is a WiFli rear derailleur so I could swap a 32t in the back for more gravel things. Last edited by peezy on Fri Jun 29, 2018 7:46 pm, edited 1 time in total. It defo looks faster with the new wheels..!! Mr. Pink will clear 35mm Compass Bon Jon Pass tires. So tire clearance should be least of your worries. Frame is heavy, my 52mm was 2088 grams + 391 grams fork (uncut). I raced a crit to see how it performs next to my race bike. Overall, I'm happy, it's stable and comfortable. Cornering ability is great. 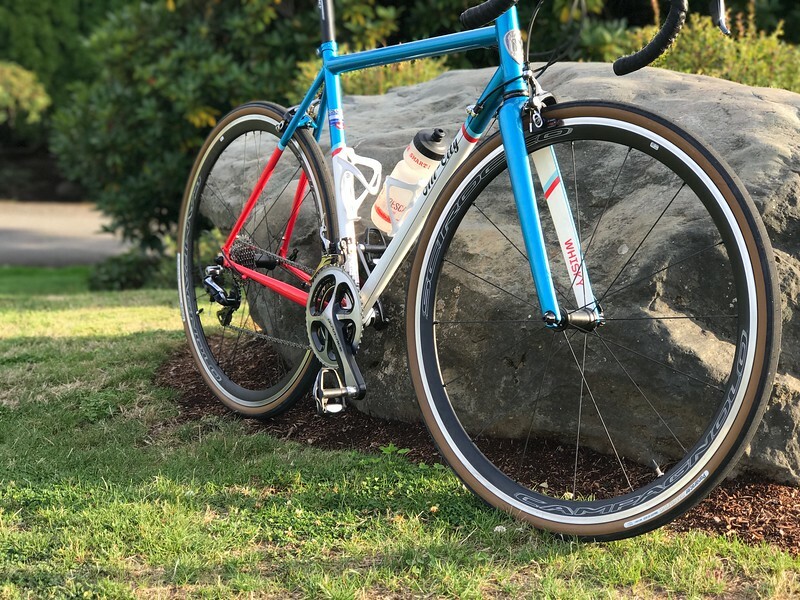 Tarmac SL4/Supersix - how are the stock builds so heavy? Lightweight is the new aero!